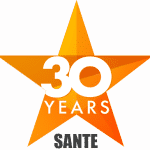 Sante Property Reconstruction has over three decades of experience with property damage from fire, water, storms, and mold. Our disaster reconstruction services specialize in quality workmanship quickly. If you are experiencing water damage, the aftermath of fire or dangerous mold growth, we can help now. We have talented technicians that work with you to keep projects on time and on budget. Familiar with homeowner’s insurance issues, we can help with the paperwork. We will work hand in hand with insurance companies to achieve your property damage repair goals. Are you in an emergency disaster? Call us now. We are available 24/7 and will get to you fast. Not only will we stop the problem, our disaster reconstruction services stabilize the property and secure it against theft and vandalism. This will ensure your peace of mind and limit further costs. Our friendly customer service understands that you are in a crisis. Get us on your side to turn a property damage disaster into an opportunity. We offer property damage repair services to Columbia and the whole of Connecticut. At Sante Property Reconstruction, we have seen it all. From mold repair to fire and water damage, our reconstruction services are comprehensive. We understand the fire damage leads to emergency water damage. After the fire is out, water and moisture create mold growth and lingering odors. Our damage repair process includes solutions for them all. When you are in a crisis, it can be difficult to establish a complete plan. Simply give us a call today. Our smart solutions for fire and water damage aren’t just a band aid. We provide complete property damage reconstruction for our clients. Whether commercial or residential, fire damage is devastating. The lasting impact of smoke and soot can spread through the property if not contained. Water used to extinguish the fire will have its own damage. If you need Columbia fire damage repairs, Sante Property Reconstruction can help now. We have the know-how to halt the damage and bring the property back to better than before. Our fire damage reconstruction is top rated. 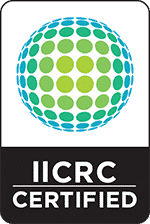 We have over 30 years of disaster reconstruction experience. In an emergency now? The sooner you call, the more you can save. Let us provide your home or business with comprehensive fire damage repair. Have you experienced flooding from natural water or plumbing? Water damage reconstruction has many aspects. We have the latest equipment and trained water damage technicians to fully reconstruct your property. Experts in moisture elimination, we know how different surfaces and materials need to be treated. Water damage can lead to mold and mildew along with scents and odor. Our water damage reconstruction fully eliminates water damage to properties. We are available 24 hours a day, seven days a week. Call us now to halt the problem and provide full water damage reconstruction. Mold growth in homes and businesses can be a serious health risk. Do you have concerns about mold damage elimination? We can help now. Sante Property Damage Reconstruction has skilled mold damage technicians who know which type is impacting your property. This allows us to accurately achieve mold damage repairs. We will carefully contain the area to protect air quality and spores from spreading. Often, mold is repaired but returns. Sante solves the mold growth problem at the source. We handle the moisture and create complete mold damage elimination for Columbia homes and commercial properties. Storms can strike at any time with severe property damage. Flooding, strong winds, and winter weather events hit homes and businesses. Sante Property Reconstruction makes repairing storm damage easy. When you call us, you can count on professionalism and sophisticated solutions. We are fully invested in our employees and equipment. This saves our clients time and money. Our storm reconstruction process includes securing the property’s windows and doors. This prevents vandalism and theft losses. Our teams are committed to protecting our community in emergency storm damage. Call us today to find out how fast repairing storm damage can be. Sante understands the importance of commercial property reconstruction. Deeply invested in our Columbia community, our commercial property repairs are comprehensive solutions to issues like fire, water damage, and mold growth. We offer commercial contracting services for expansion and building updates. Full service, our business repair options are tailored to your needs. We have handled large scale industrial buildings and smaller office reconstruction projects. Let us make your business work as hard as you do with our commercial property reconstruction. Whatever your property needs, our general contractor services can help. Sante Property Reconstruction is invested in the best trainings and tools. Our quick and quality craftsmanship creates solutions for any space. Our process includes assessing different options to meet your needs and budget. Offering free estimates, we are available 24/7 to our clients. You’ll quickly discover that there’s a reason our services are top rated. Customer service and client experience are at the top of our general contracting goals. Call us today to get an estimate fast. Property damage reconstruction has been our specialty for over 30 years in Columbia. Deeply invested in our community, we have trained technicians available 24/7 for disaster emergency repairs. Sante Property Reconstruction serves commercial businesses and homes. Give us a call today for a free estimate on any damage reconstruction project. Does your Columbia Home or Business have Damage?